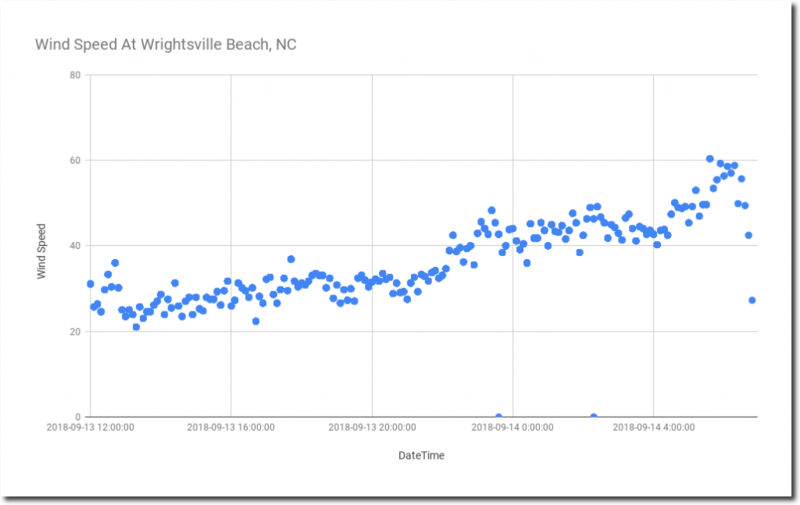 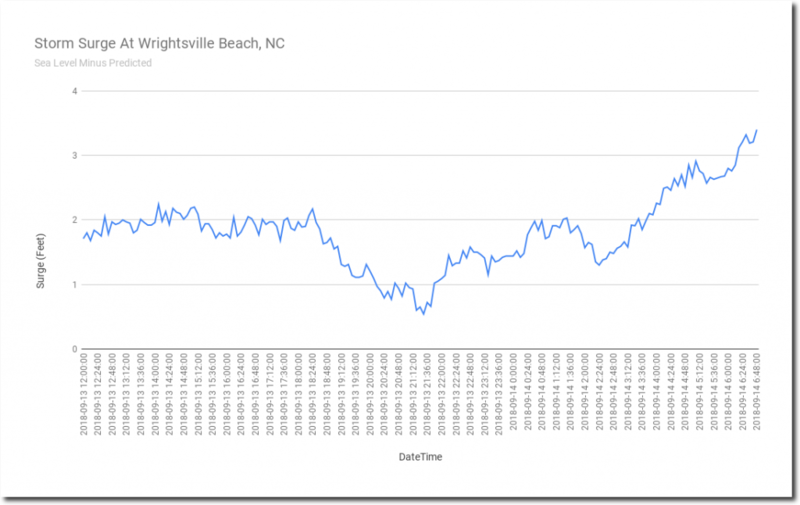 “Hurricane” Florence is passing over Wrightsville Beach, North Carolina right now, with peak wind speed in the eyewall of 60 MPH and a storm surge of just over three feet. 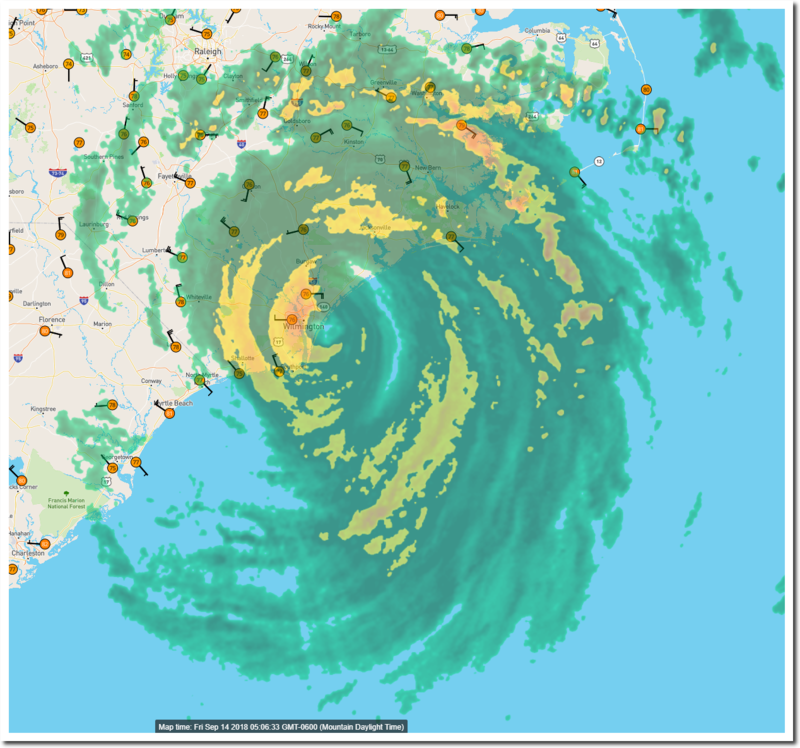 Florence isn’t even a hurricane at this point, but that won’t stop NOAA from claiming it was. And the Washington Post missed by 80 MPH in their forecast. 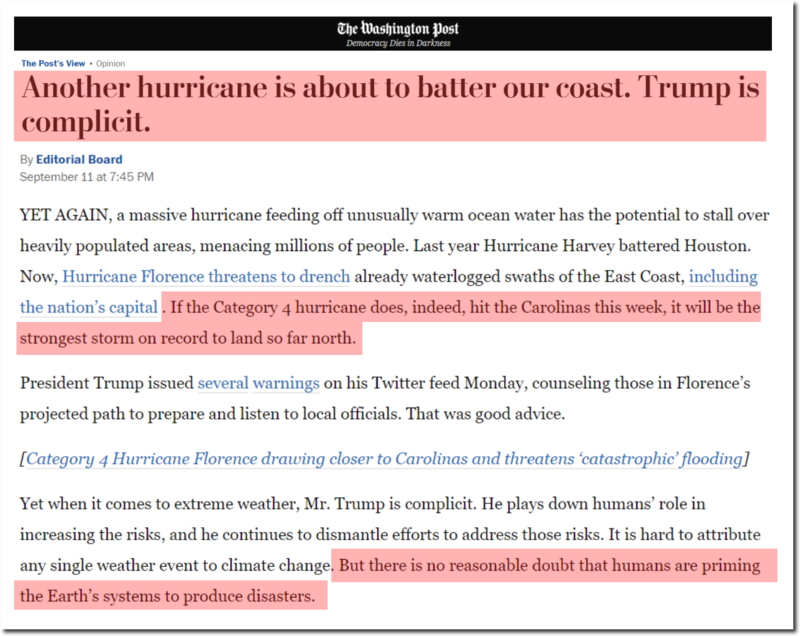 Since the Washington Post believes the President controls hurricanes, will they give him credit for the low wind speeds?